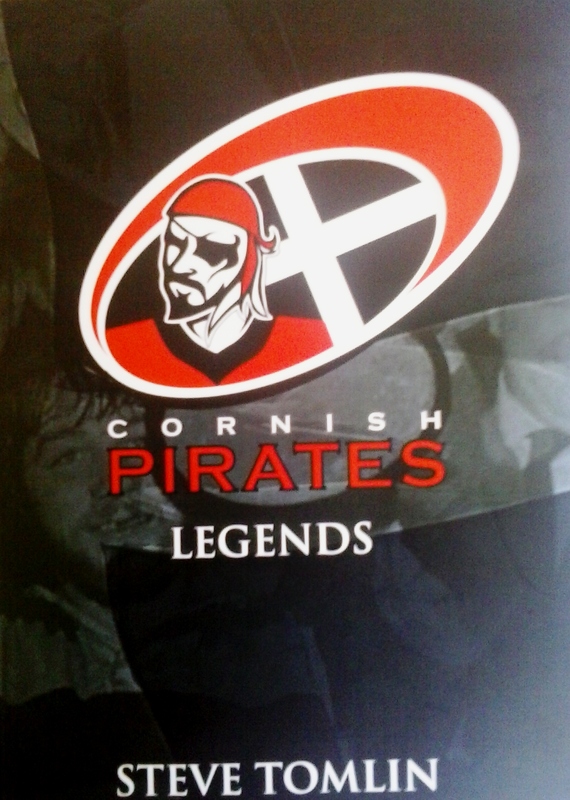 Steve’s latest book “Cornish Pirates Legends” is being launched on 15 October (2015), and as you would expect it is an extremely well-researched tome on some of the greats of the club, not just from the current era but stretching all the way back to Barrie Bennetts from the famous Cornwall 1908 Championship winning side. Kendall-Carpenter, “Ginger” Williams, Harvey Richards, Graham Paul, Peter Mitchell, “Stack” Stevens: the list of whose who at the Pirates from yesteryear goes on right up to the modern day heroes, Victor Olonga, Heino Senekal, Matt Jess, Rhodri McAtee, Gavin Cattle and the indomitable Paves, to name just a few. Not just the players but the coaches too, Kevin Moseley, Jim McKay, Chris Stirling and Ian Davies. I found the book compulsive easy to read, one that you had difficulty putting down, such it was interesting and compelling. It’s certainly a book that any Cornish rugby enthusiast would love to be able to refer to off their book shelf. “Cornwall has long been recognised as being one of the hotbeds of English rugby, enjoying a level of interest and support even outstripping that of football. Ten years ago, Penzance and Newlyn rebranded itself as the Cornish Pirates and now operates as the only truly professional sports team in the area. Despite its remote location and low population base it has nevertheless recently twice won national knock-out trophies and twice more reached play-off finals of the Rugby Championship – just one tier below the Premiership. Ex-player Steve Tomlin’s latest book details the lives and playing careers of forty-six leading players and four senior coaches covering both the amateur and professional eras of the club. It is almost entirely based on a series of detailed interviews with the players themselves – or with their colleagues and families if they are no longer with us. True Legends are featured, from ‘Stack’ Stevens to Alan Paver and Gavin Cattle, plus current favourites Laurie McGlone, Rob Elloway and Chris Morgan and many more. Coaches from Jim McKay to Chris Stirling are given equal treatment. A true history of special Pirates one and all. Around these events, Steve will be undertaking a series of media appearances to promote the book. This is a great way to support the Pirates and another initiative to raise much needed funds for our future development as we continue our journey.